Apple has released watchOS 4 and tvOS 11 to users with Apple Watch and Apple TV. 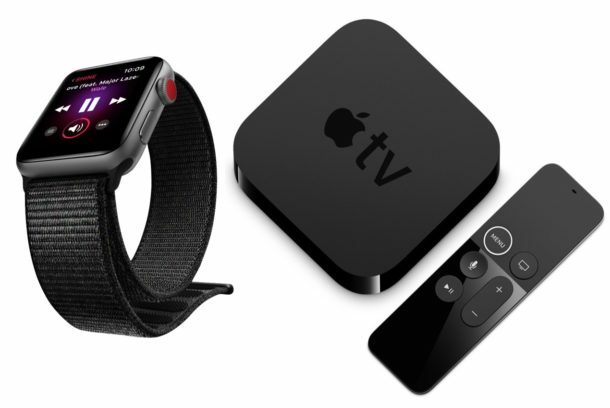 The new watchOS 4 and tvOS 11 software updates bring a variety of changes and updates to the Apple Watch and Apple TV experience. Separately, Apple has also released the iOS 11 software update for iPhone and iPad. watchOS 4 for Apple Watch includes a new Siri watch face, improved activity tracking, a new Music app, and other adjustments and new features. tvOS 11 includes home screen adjustments for multiple Apple TV devices, the ability to control Apple TV via an iOS device Control Center, new language support, as well as a variety other new features and changes. watchOS 4 is compatible with all Apple Watch devices, where as tvOS 11 is compatible with the latest Apple TV hardware. The software updates can be installed via the respective Settings applications on tvOS or the accompanying Apple Watch settings app on a paired iPhone. For watchOS 4, open the Apple Watch app on the paired iPhone and then go to the Software Update section to install the latest version available. The unfamiliar can learn how to update watchOS on Apple Watch here. Compatible Apple TV hardware can find the tvOS 11 update available in the Settings app Software Update section. Users can also update via iTunes and a computer if desired. Apple TV users can learn more about updating tvOS here if interested. Additionally, iPhone and iPad users will find the iOS 11 update available to download now.